Believe it or not, your front entry door says a lot about your home’s style and interior. Your front entry door presents your guests with their first look, and first impression of your home. With an up-to date entrance, your home’s curb appeal goes up, and those first impressions are made in the positive. We realize that door styles are never going to change drastically, but newer, more refined door styles and colouring trends are always a facet of modern home design. We’ve found some of the newest trends, and assembled them here to keep you up to date. Get inspired! Mono-texture and single colour is out, and playful decoration is in. 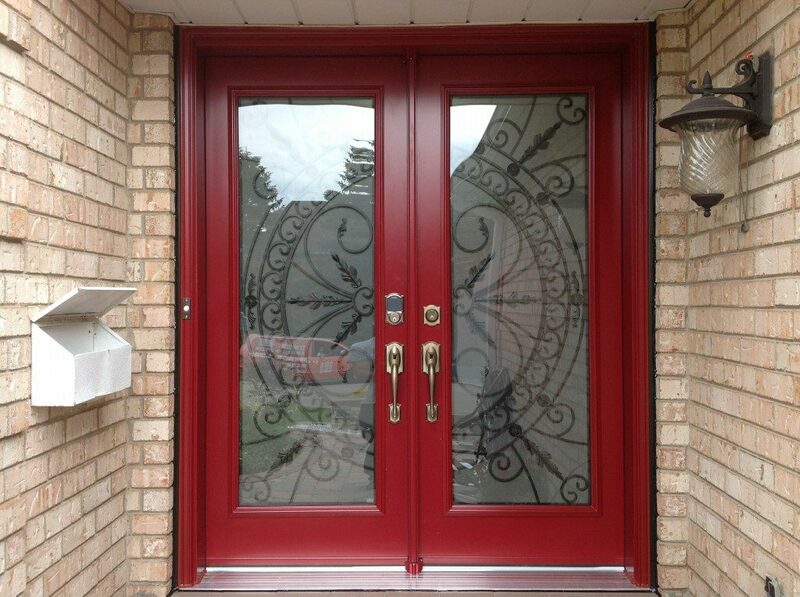 This red, double entry door blends lively colour with ornate designs and textures for an entry door which pops. Iron gilding and opaque glass make for a unique, cleverly decorative design which seamlessly integrated simplicity and traditional flair into a single doorway. Oversized, irregularly shaped windows add a sense of relaxation and ease to your entranceway, and suggest that this person isn’t afraid of trying something out. This doorway combined geometric patterning and oval-shaped glass with a plain white backdrop for a classic, elegant doorway with a playful, different window design. Classic, toned wood paired with a regal arching slope and gilded, the ornamental design makes for your typical traditional door. What this homeowner has done is double up on the impact by installing a doorway shaped window above their entranceway. This allows extra sunlight to enter the room and creates a distinct, heavy and ornate style which suits this large home well. Installing a window above your door creates this refined look, and doubles the impact your doorway creates while letting light into your entranceway and home. A modern take on stained glass windows infuses your home with energy and creates an ephemeral, creative first impression. 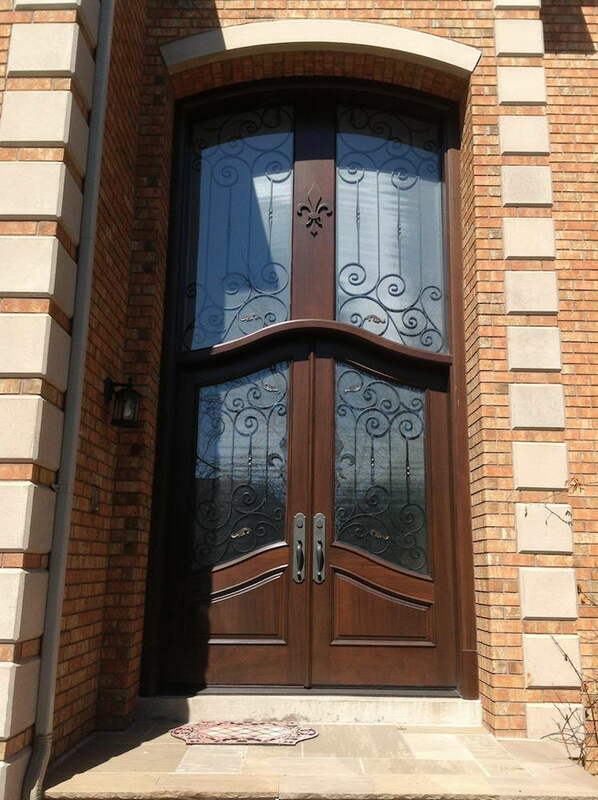 For traditional, high-end homes, this kind of ornamentation can be the perfect way to distinguish your doorway from the other homes on the block. 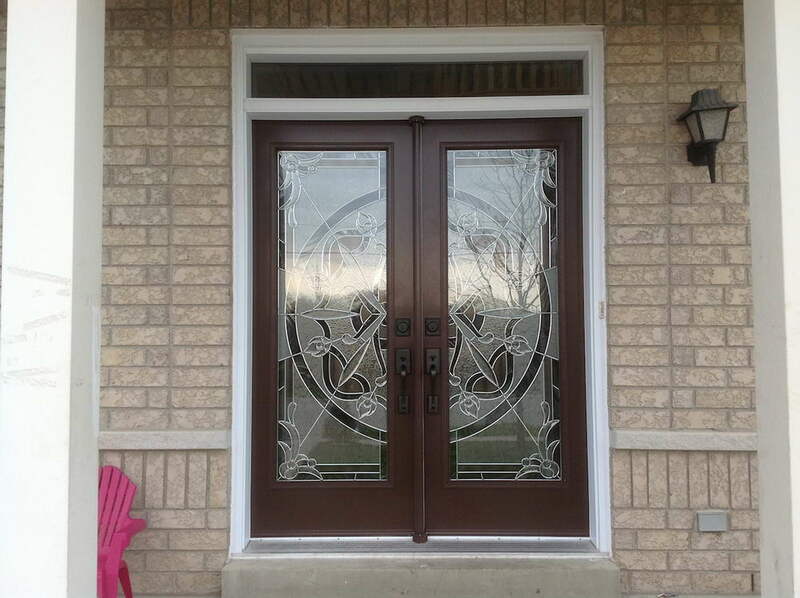 Take a look at this luxury doorway we installed, featuring stained wood, alternating opaque and clear glass, and ornamental stained-glass designs. Pair black and white with backlit glass, and you have yourself a contemporary door with a stylish edge. In this entranceway, we’ve paired an asymmetrical design with regular, square glass panels accented with opaque stripes to add to the home’s privacy and accent the doorway. Pair this doorway with modern homes and outdoor lighting for a unique take on design. With a doorway this classic, it might also be an interesting idea to play with various colour to accent your home’s exteriors. For those wanting some extra flair, consider painting your doorway a bright primary colour. 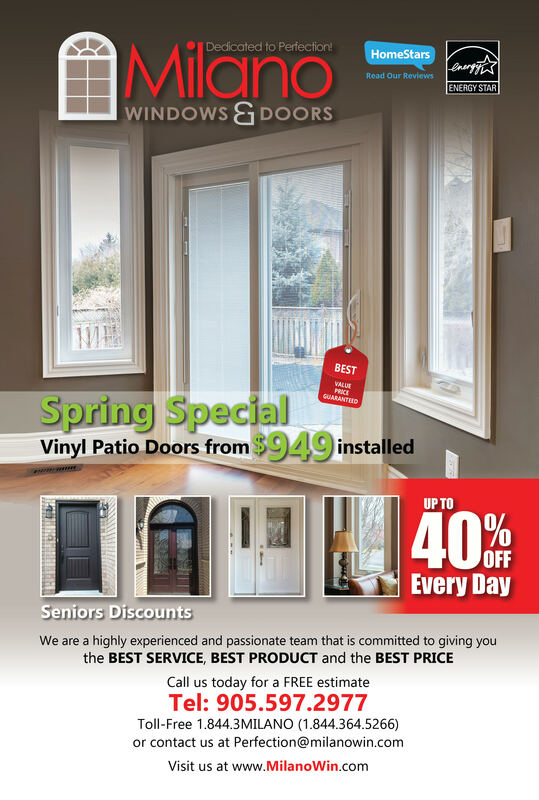 Why Choose Milano Windows and Doors Inc? 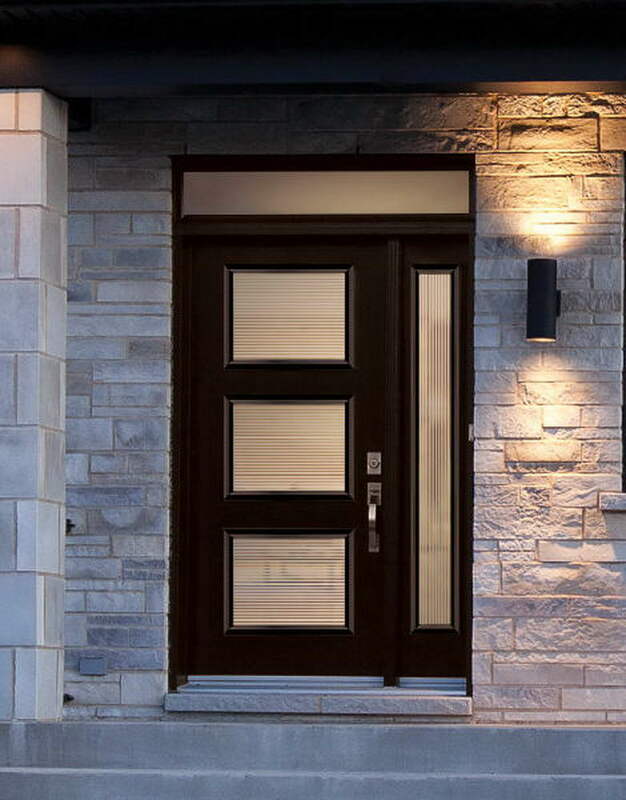 Milano Windows and Doors is a GTA based company serving Toronto, Vaughan, Maple, Newmarket, Richmond Hill, Aurora, Scarborough, Mississauga, Brampton and further. 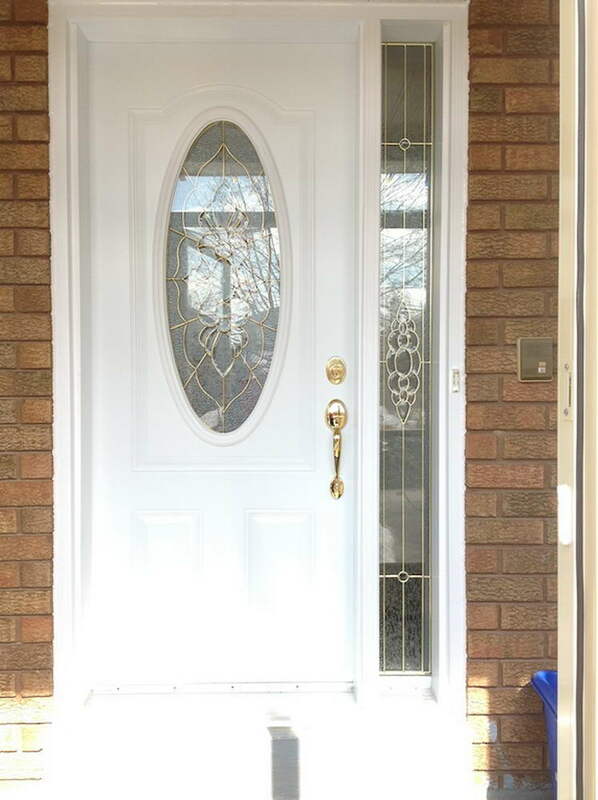 We specialize in window and door installations and repairs, installing high-quality window and door products such as vinyl windows, steel and fiberglass entry doors, interior doors, porch enclosures and patio doors. Contact our company today for energy-efficient window and door products, as well as style advice and ideas from the expert window and door installation professionals. Browse through our product catalogue now, or visit our website to learn more.